The Cube°, a wine cellar cooling unit engineered to maintain temperature stability. Control your wine cellar temperature and humidity with the optimal wine cooling system. Perfect for large wine room or for smaller condominium wine cellar. As silent as a laptop. Reliable e-cool - the most trustworthy cooling technology with a 20-year lifespan. E-cool - the accuracy of medical equipment at the heart of your wine cellar. No matter where you are on Earth, Alfred will monitor what goes on inside your wine cellar. A precious wood veneer encompasses the casing where its front can easily be matched to any decor. The most environmentally responsible system. Only distilled water is used instead of harmful refrigerant gas. Cube° : The brain of your wine cellar, the Cube° controls the wine cooling unit and ensures a constant temperature for your wine collection with the circulation of cold and warm water loops. Download our brochure. 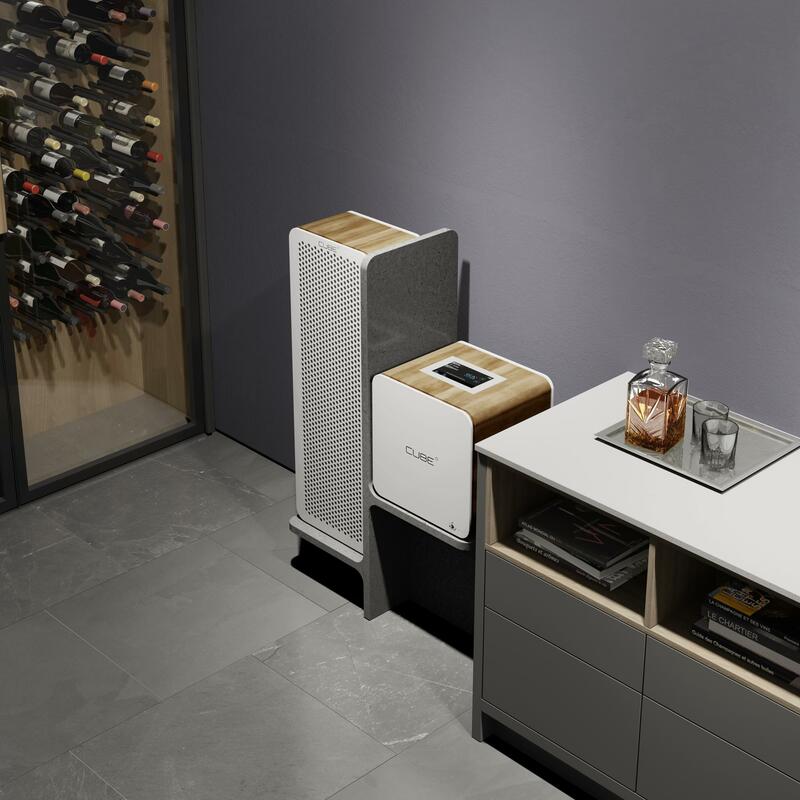 °RC : The cooling unit represents the heart of the wine cellar. Connected to the Cube°, the heat is captured to maintain ideal wine aging conditions. °RH : The unit extracts heat from the cellar’s interior and pushes it into another room. The °RH takes the heat and pushes it into another room. The compressor-free mechanism makes this wine cooling system whisper-quiet. 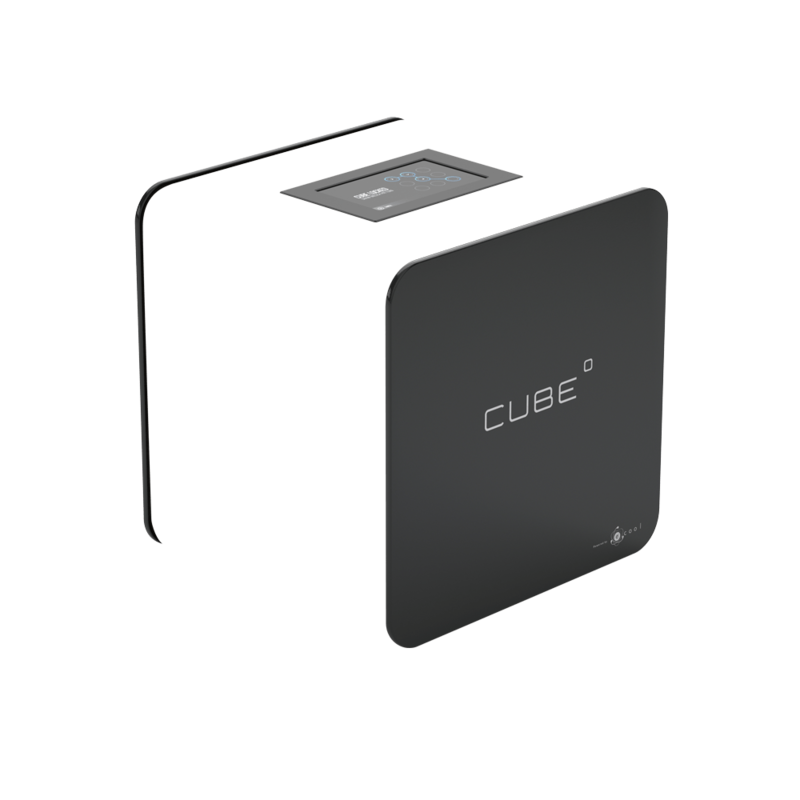 Generating only 23dBA, the Cube° emits as little noise as an office computer. 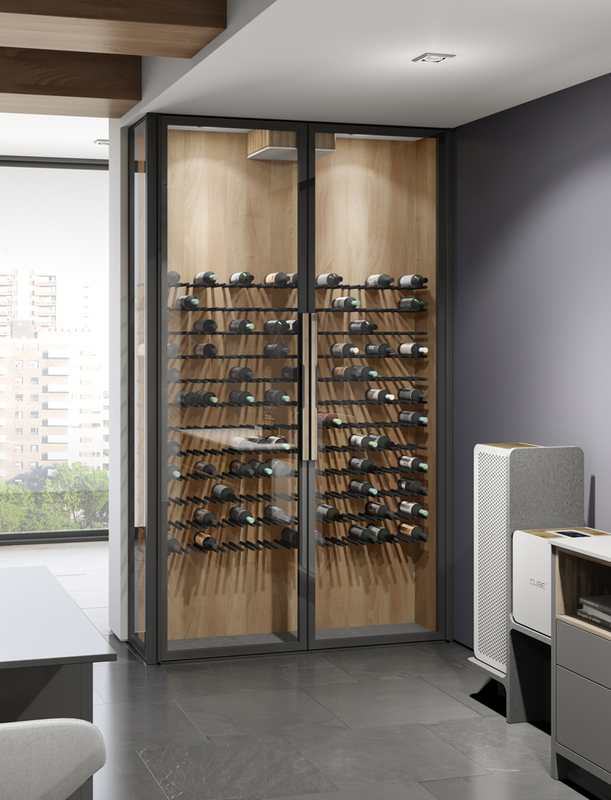 No moving parts are required since cooling is simply achieved through the movement of electrons, resulting in a soundless wine cellar cooling system. Ultra-silent fans located inside and outside the wine cellar are used for highly efficient thermal exchange. They represent the system’s single source of noise. With a simple touch of the screen, the fans velocity may be modified thus reducing the unit’s sound level. 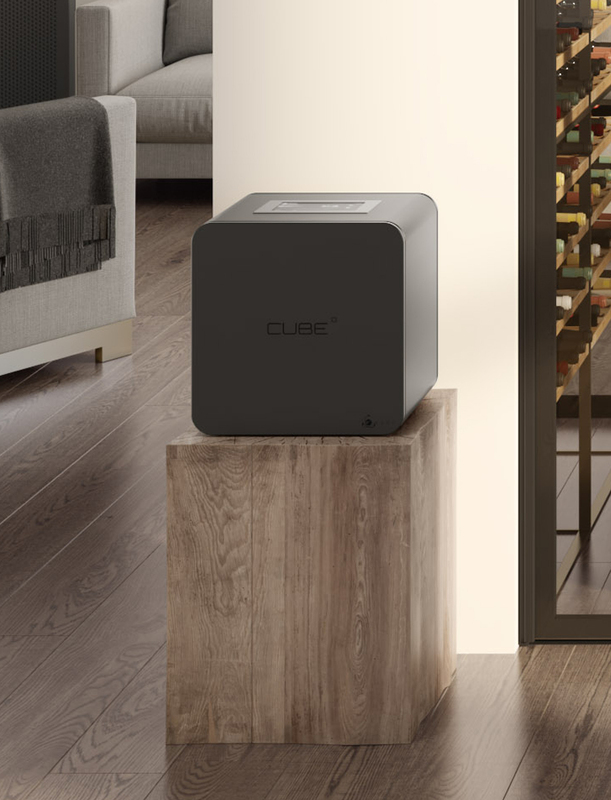 The Cube° now makes it possible to install your wine cellar virtually anywhere, whether in a condo, an apartment or in a space where having a noisy unit is simply out of the question. With over 200,000 hours of continuous operation, the Cube° has established itself as the most durable wine cooling system in today’s market. The 10-year manufacturer warranty is a testimony to the unit’s sustainability and is 5 times higher than the industry’s current average. Choosing highly reliable components combined with the use of the most advanced failure monitoring system give this extremely efficient unit an unequalled lifespan! The Cube° not only protects against condensation, it also prevents dryness within the wine cellar. This aspect not only maintains the system’s mechanical efficiency while greatly reducing its energy consumption, it also eliminates the need to remove water through the use of a drain. No more blocked drains or defective condensation receptacles! Maintaining stable temperatures is essential when maturing wines: it prevents premature oxidation, a process that accelerates wine aging. 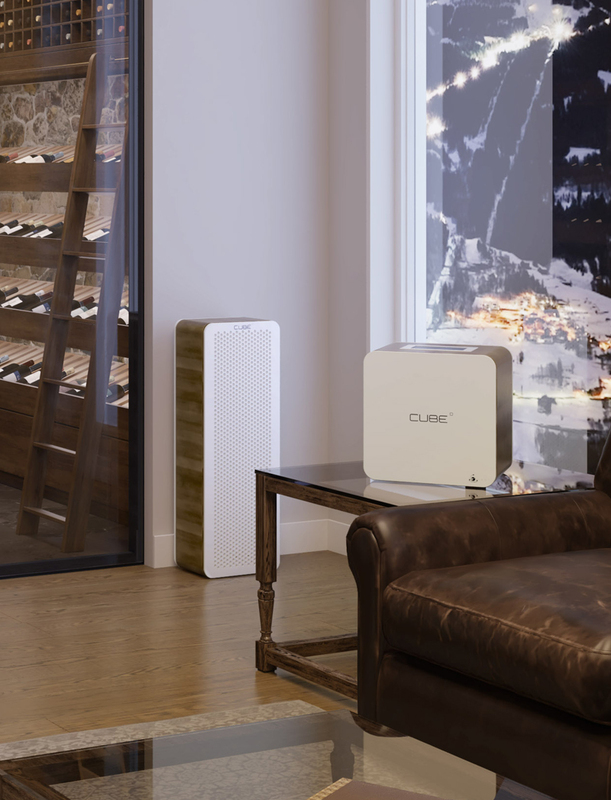 The Cube°, with its e-cool technology, is the only wine cellar cooling system on the market that can maintain extremely stable temperatures inside the cellar with variations as small as 0.01 °C. Its flexible mechanism operates continuously with zero disruptions, making temperature variations impossible. Wines stored in such conditions are less likely to deteriorate. The aging potential will be longer, making it possible for wines to reach their fullest aromatic complexity once the maturing process is complete. A notion recognized by the Canadian Association for Professional Sommeliers, making the Cube° the first system approved for wine aging. 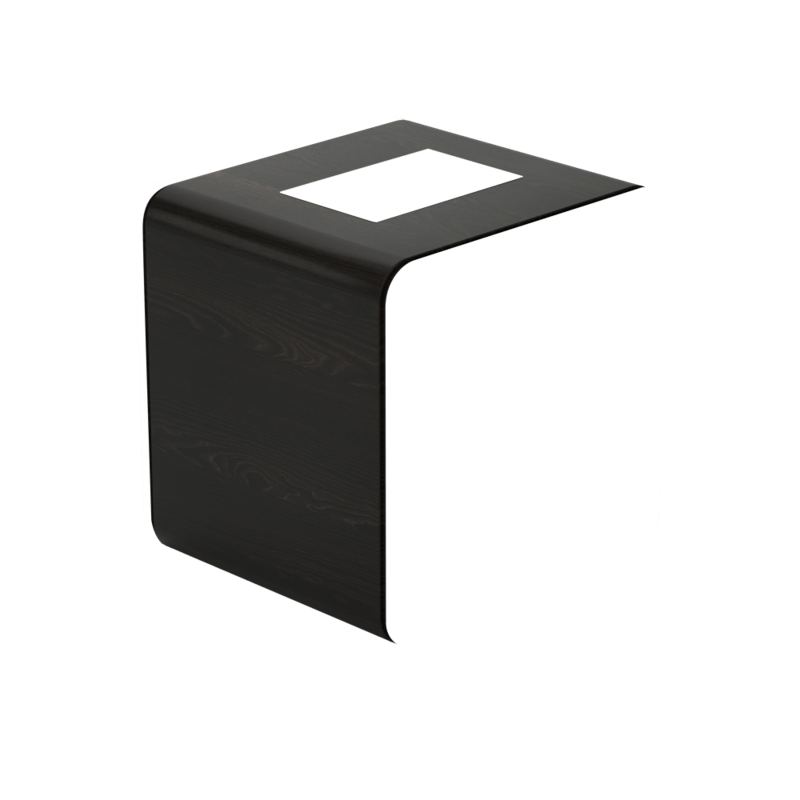 Using the Alfred application, the Cube° can be accessed anywhere through your mobile device, keeping you informed of any concerns that may arise within your cellar. Using artificial intelligence, the cellar’s aging environment will be modified according to outside conditions, while closely monitoring your collection even when you’re away. The system is monitored 24/7 by our experts at Wine Square. A technician will immediately contact you to book an appointment should a failure occur and cannot be repaired remotely. Updates will be done automatically over the system’s entire lifespan. The system’s connectivity will enable it to evolve over time, giving you the most efficient climatisation system day after day. Connectivity also means that data related to aging conditions is recorded internally every minute. For a maximum level of security, data is also stored in the cloud. This information is vital in maintaining your collection’s full value. The Cube° blends seamlessly with any decor due to its sleek and stylish design. A precious wood veneer encompasses its casing while the front is made of aerospace aluminum coated with multiple layers of automotive paint, embellishing the best cooling technology available for today’s wine cellars. The system’s appearance, similar to a high-end stereo system, makes it easier to blend within your living space. Our signature furniture line designed specifically for receiving the Cube°, combined with perfect ergonomics, make it possible to access the high-resolution 7” touch screen. 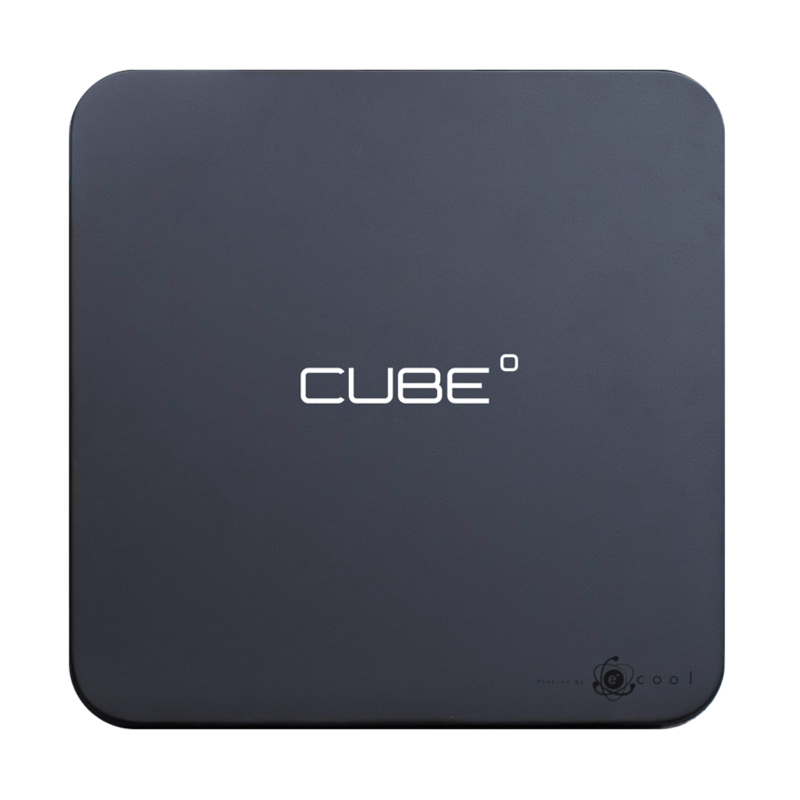 Every component in the Cube° is fully customizable and the front panel is easily interchangeable. The colour of the Cube° can be modified depending on where the system is located or how the decor evolves through time. The front panel as well as the casing for standard models comes in a choice of six colours. Other shades or wood varieties are also available through special orders. As pure water flows within a closed-circuit loop, the Cube° cools the air without the use of refrigerant gas by extracting heat from the wine cellar. The heat recovered from the cellar is then recycled, so that it has a positive impact on the energy used to heat the home. With its tremendous lifespan, the system’s heavy-duty mechanism and its structure made from renewable materials, the Cube° distinguishes itself as an effective option when compared to other high energy consuming systems available on the market with built-in obsolescence. 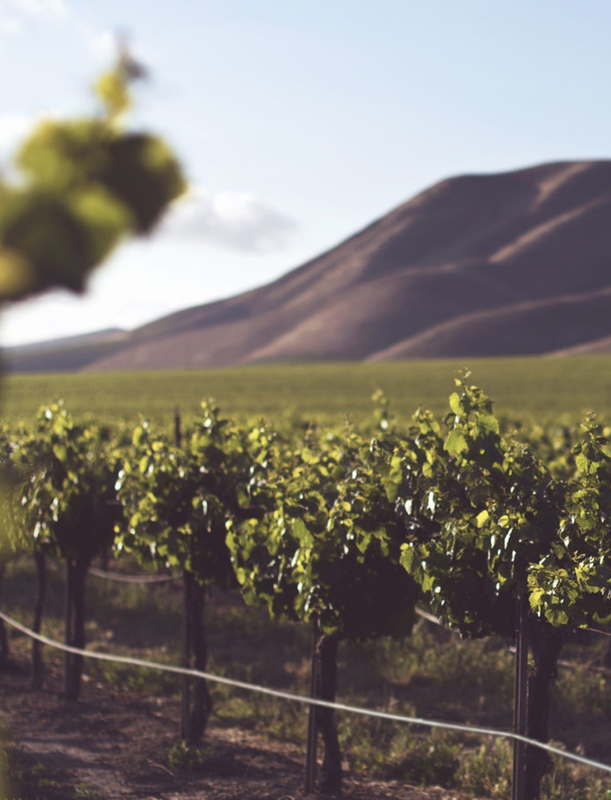 The system, with its low environmental footprint, not only monitors the wine’s evolution through time, it also ensures that descendants will be there to enjoy it.